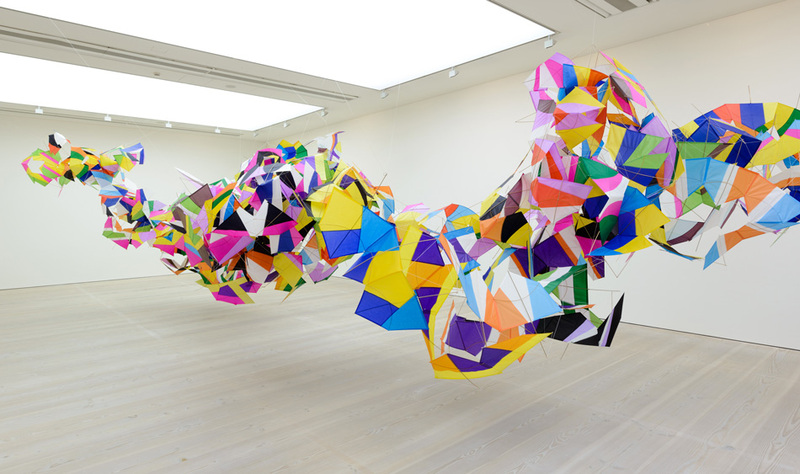 As the world quickly moves towards a ‘paperless’ society and even art is threatened with Digitalization, Saatchi Gallery debuts their latest exhibition ‘Paper’. 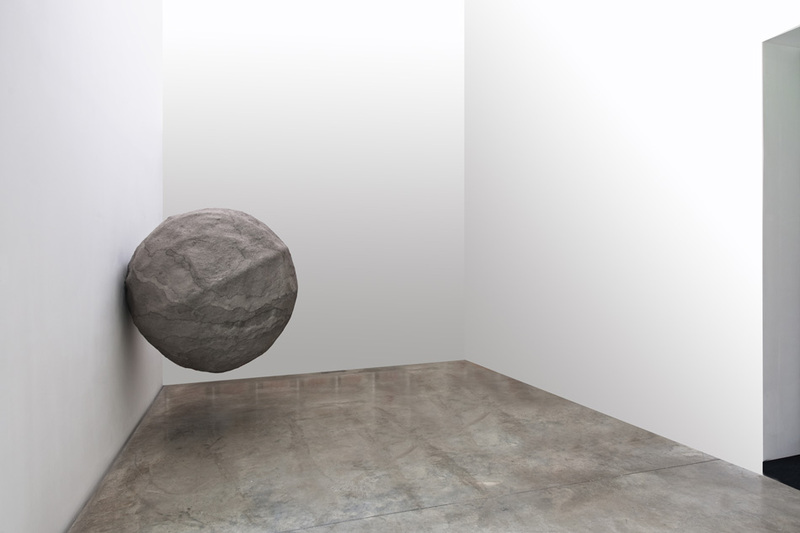 Some immediately may think crafts and origami; however, the exhibition is more serious in tone and champions work from forty-four international artists who all use paper to challenge ideas, and expectations of the medium through collage, sculpture, painting and installation. The medium is present through all of the artwork, although some are quite simply works on paper, there are more unique pieces. 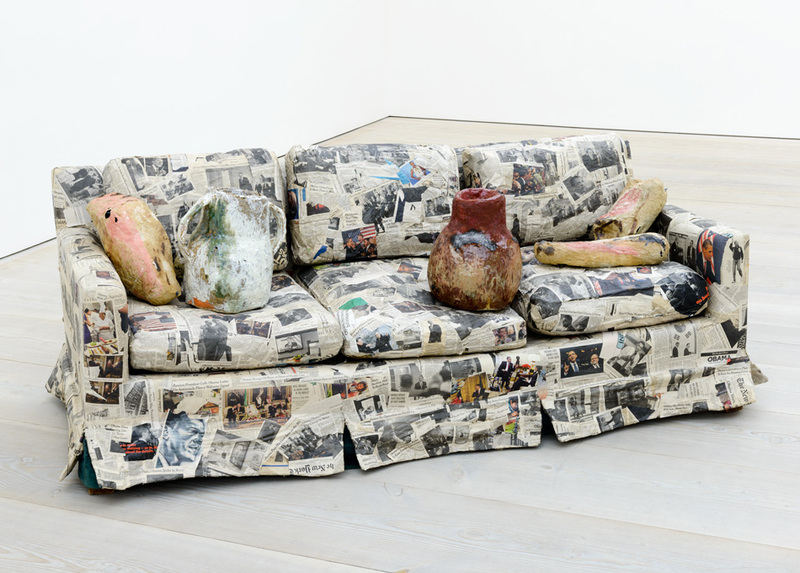 For example ‘Couch for a Long Time’ by Jessica Jackson Hutchins, showcases a couch made solely from newspaper pages, creating an interesting dialogue between a common place, where one receives copious amounts of information from the digital television across from them. I was more intrigued to see paper from our daily lives used in creative ways altering them into contemporary art. 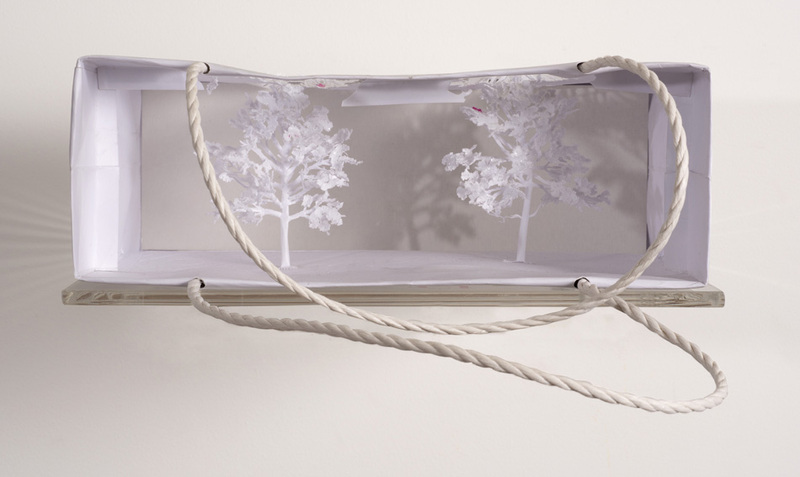 One of the most breathtaking was Yuken Teruya’s LVMH series, which utilized paper bags from fast food restaurants to luxury stores such as Marc Jacobs, Louis Vuitton and Givenchy, which were then installed in a row on the gallery wall and paper cut to reveal gorgeously intricate trees within each individual bag. 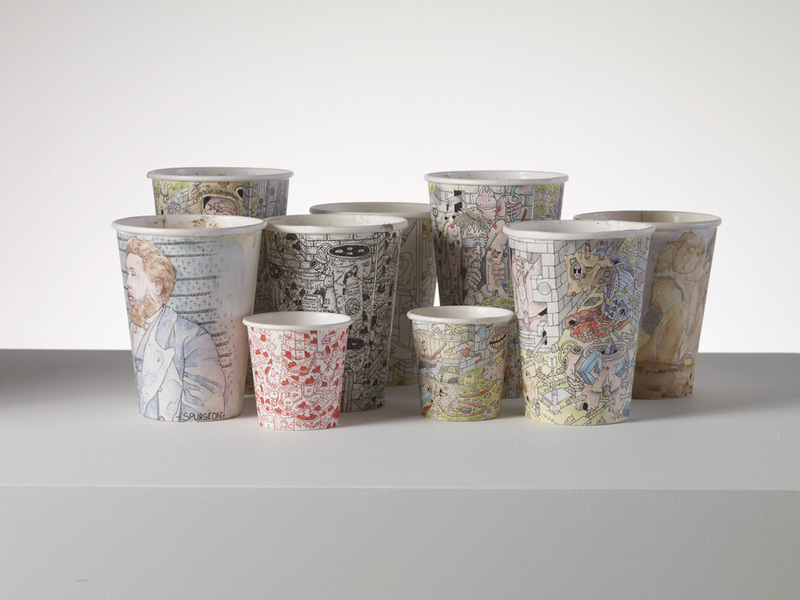 Paul Westcombe’s ‘coffee cups’ were another fascinating example of how a throw away object from society made from paper can be transformed into a piece of stunning contemporary art. The Saatchi Gallery doesn’t disappoint and includes some large-scale installations from Marcelo Jácome, Han Feng and Rebecca Turner that are always breathtaking to view in such a gorgeous open space. Do yourself a favour and buy the £1 exhibition guide as it will enhance your experience of the show and really help you get behind the ideas of each of the talented artists. In the end, Paper doesn’t scream ‘genre busting’; however, if you can switch off your phone and tune into the context and subtext of what’s before you…I’m sure ‘Paper’ won’t disappoint.